Which area of Edinburgh should you live in? It's Friday night, what are you drinking? Where do you go shopping for food? Packed full of restaurants, galleries, attractions, shopping and cafes - you won't get bored in the New Town. The Georgian opulence suits you. See you in Tigerlily for some fizz, darling. It'll be fabulous. Keep it traditional, keep it classy. You love history, you love culture. Soak it up - visit the museums, embrace the festival. The Old Town is where you need to be. A country bumpkin at heart, a city dweller in reality. Living in Stockbridge is like living within a village within a city. There's the local butcher, the local pub, the local park and the local Farmers' Market... all conveniently within reach of Edinburgh city centre. Because who wants to actually live in the countryside? It's edgy, it's artsy, it's where the cool kids hang out. Visit the Shore. There's restaurants, bars, galleries, delis, shops... and you can take your dog. Or your ferret. Dogs are so mainstream. The perfect area for city living with easy access to the countryside. Morningside has that village feel with lots of local shops (and Waitrose, of course), but lots of green space. Grab your dog, your Barber and your Hunters. See you in the Meadows. You're not really a city slicker. A country dweller at heart, Corstorphine is within a tolerable distance to the city centre with easy access to the countryside. 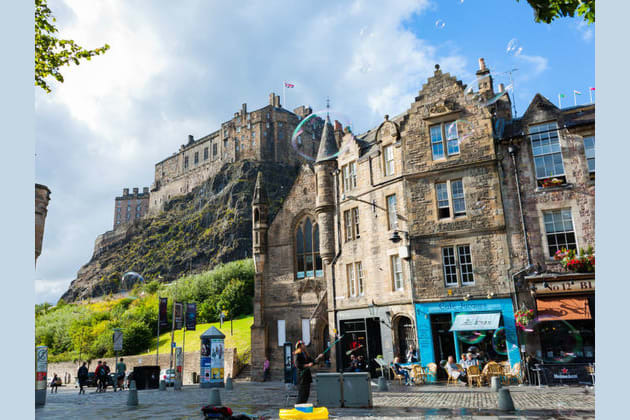 Edinburgh is full of amazing areas - but where do you belong? In stylish Stockbridge, the historic Old Town or the Georgian splendour of the New Town? Or are you an edgy Leither or a Morningside magnate? Find out in Factotum's Edinburgh area quiz!